1. Trim zucchini, toss them in a bowl with a good sprinkling of salt and let them drain while you prepare the other vegetables. The vegetables can be prepared several hours in advance. Cover and refrigerate them. 2. Just before serving, heat 2 tablespoons butter (or more) in a frying pan and add the carrots, turnips and parsnips, tossing them continuously over high heat. Meanwhile, drain the zucchini and pat them dry with paper towels. 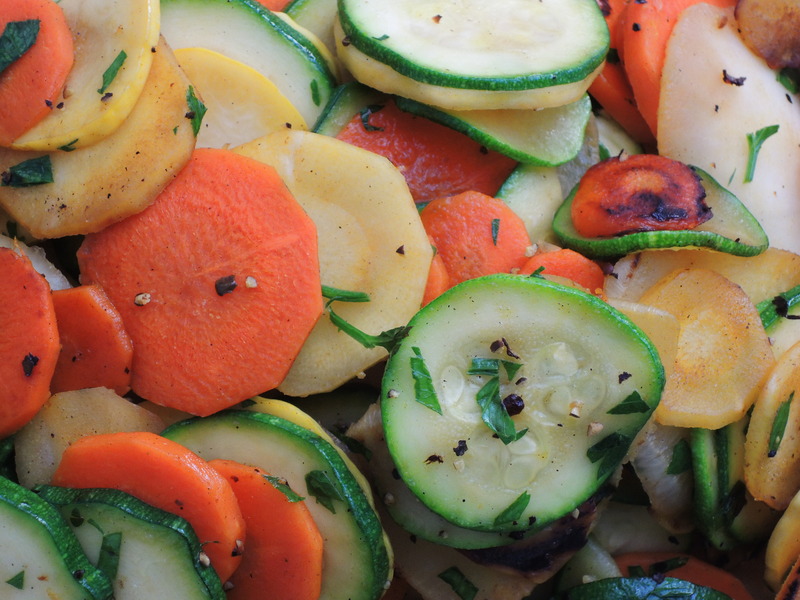 When the other vegetables are becoming tender, add the zucchini. Toss for 2 to 3 minutes. 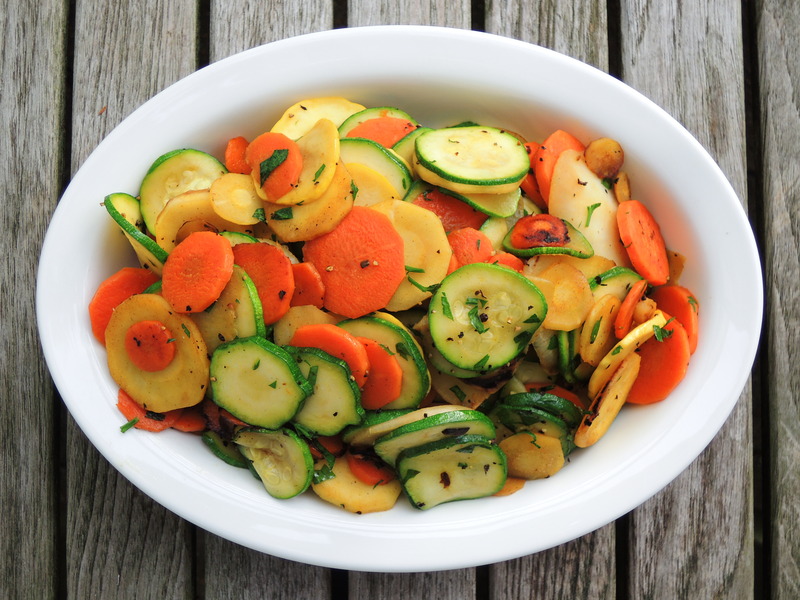 The vegetables should retain a lightly crunchy texture. Season to taste, toss with a little butter and, if you wish, minced fresh herbs, such as chives, basil, chervil or parsley. Serve at once. Posted in ZucciniBookmark the permalink.